Dayna Martin. Dayna, the Features Editor, is a senior and a second year member of the Viking Vault. She is involved in basketball, 4H, FFA, Junior Fair Board, and National Honors Society. Dayna enjoys hanging with her family and friends, and long walks on the beach. Caylee Lindsay. Caylee Lindsay is a senior and third-year staff member and Print Editor-in-Chief of the Viking Vault. She plays volleyball and basketball and is a member of the National Honor Society. Caylee enjoys spending time with her dog, Crosby, and hanging out with her family and friends. Katelyn Darby. 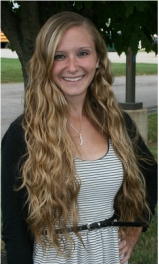 Katelyn Darby is a senior and third-year Vault staff member. She is the Web Editor-in-Chief for the Viking Vault. She is a swimmer and a member of the National Honor Society. She enjoys spending time with her pets, family, and friends in her free time. Katie Applequist. 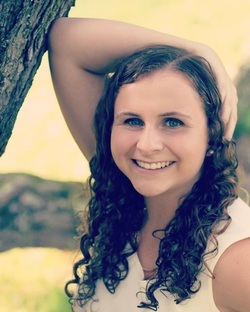 Katie Applequist is a senior and Entertainment editor/layout editor. This is her second year on the newspaper staff. She is involved in the marching and pep bands, quiz bowl, the bowling team, musicals, and is a member of National Honor Society. Cora Dorman: Jr. News Editor and Jr. Public Relations Manager. Cora is a sophomore and in her first year of newspaper. 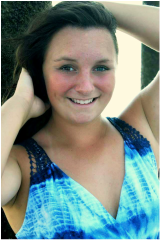 She enjoys being with family and friends, playing softball and showing livestock and poultry. She is also involved in 4-H, FFA and Junior Fair Board. Emily (Marie) Jesenko: Writer for The Viking Vault . Emily is a first year staff member. She enjoys doing fun things with her family and friends. She also likes to sculpt in ceramics, play piano, and relax in tropical places. 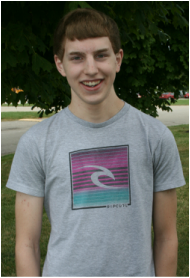 Sven Stalder Junior Public Relations Supervisor is a sophomore foreign exchange student from Switzerland. He runs cross country and track. He loves to experience new parts of American culture with his friends and host family. He also loves Swiss cheese! Morgan Hatten Junior Entertainment Editor. Morgan Hatten is a senior and a first year Viking Vault staff member. She spends most of her time watching One Tree Hill or Grey's Anatomy and eating ice cream. Carrisa Sweetman Junior Photo Editor. 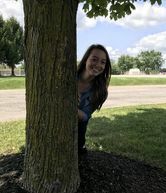 Carrisa is involved in many activities at Northridge including Marching Band, Concert Band, Jazz Band, Honors Band, FFA, 4H, and National Honors Society. Carrisa has Performed at Solo and Ensemble, and has been involved in two school plays. Her favorite part of high school is getting the chance to spend time with the people she cares about. High school has been a great experience, and she is excited for her future in College. Kyle Stermer. News Editor. 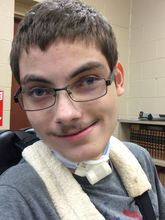 Kyle is a senior at Northridge on his third year of newspaper. He enjoys making bank at Velvet Ice Cream, shredding the slopes at snow trails, and hanging with friends. Savannah Legg. Photo Editor. Savannah is a seasoned veteran on the newspaper staff, and a Senior at Northridge High School. She is involved in volleyball and softball, and can quote Star Wars better than you and all your friends. Savannah says "I started writing for the Viking Vault because I wanted to write things for people who were interested in me to read. That means you, mom". Aili Barbee. Print Editor-In-Chief. Aili is a senior in her third year of newspaper. She enjoys reading, writing, and hanging out with friends. 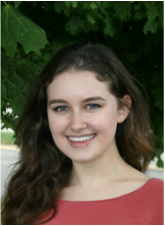 Aili participates in the annual school musical, the mock-trial team, and is a HOBY facilitator. 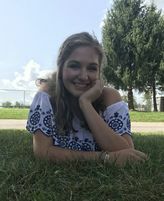 She also is Northridge's representative on and the Leadership Development Director of the Youth Leadership Council of Licking County. Aili is the first attendant of the Millersport Sweet Corn Festival and the student representative on the Northridge School Board. 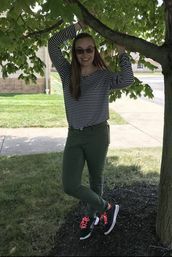 Aili hopes to attend The Ohio State University next fall where she will major in either biomedical sciences or nursing and eventually work in pediatrics. She also recommends all of you to submit questions to her Ask Aili column. Jamie Swickard. Web Editor-in-Chief/Tech Manager. 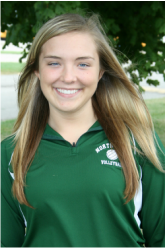 Jamie Swickard is a senior who plays volleyball and basketball. In her free time, Jamie enjoys spiking balls at Megan Dalton along with breaking Savannah Legg's ankles while balling on her in a one-on-one basketball game. Chad Campbell. Sports Editor Emeritus. 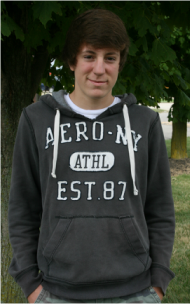 Chad is a senior in newspaper who enjoys playing basketball and running track. Hunter Adkins. Features Editor Emeritus. 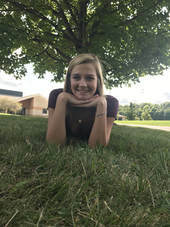 A senior in third year of newspaper, Hunter is a volleyball and softball player, as well as being involved in yearbook and student leadership. Gabrielle Evans. News Editor Emeritus. 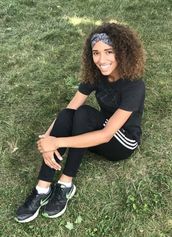 A senior, Gabrielle is returning for her third year on the newspaper staff. She is also an accomplished dancer of fifteen years and a cross country runner of one year. She is also a member of National Honors Society and Student Leadership. During her free time she enjoys spending time with friends and family. She is looking forward to a great senior year and to what the future has to offer for her! Megan Hatfield. Chief Photographer Emeritus. 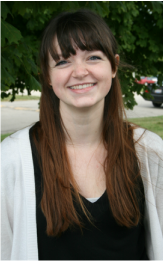 A senior, Megan is returning for her third year on the newspaper staff. Megan is also a member of National Honor Society, Student Leadership, yearbook, volleyball, softball and is the senior class secretary. She also enjoys spending time with all the people she loves, eating ice cream, and watching Harry Potter. Lilly Chesser. Print Copy Editor Emeritus. Lilly is a senior in her second year of newspaper. She enjoys staring at things and is known for her highly-regarded, critically-acclaimed recurring column "I Matter." After high school, she plans on "finding herself" in the desert. McKenzie Messer. Print Editor-in-Chief Emeritus. McKenzie is a senior in her third year of newspaper. She enjoys knitting, reading, drinking hot beverages, and almost any other activities an 80 year old woman would take part in. 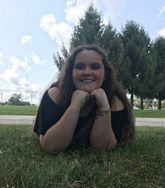 She plans on joining the newspaper staff at Ohio Dominican University where she'll be attending in the fall for art education. Mat Scott. Web Editor-in-Chief Emeritus. Mat is a senior in his third year of newspaper. When he is not working on the Vault, he is watching swimmers from an elevated chair at Denison University. 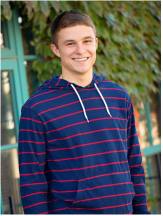 He also referees soccer, is a member of the swim team, cross country team, and track team, in addition to National Honor Society and the Boy Scouts of America.